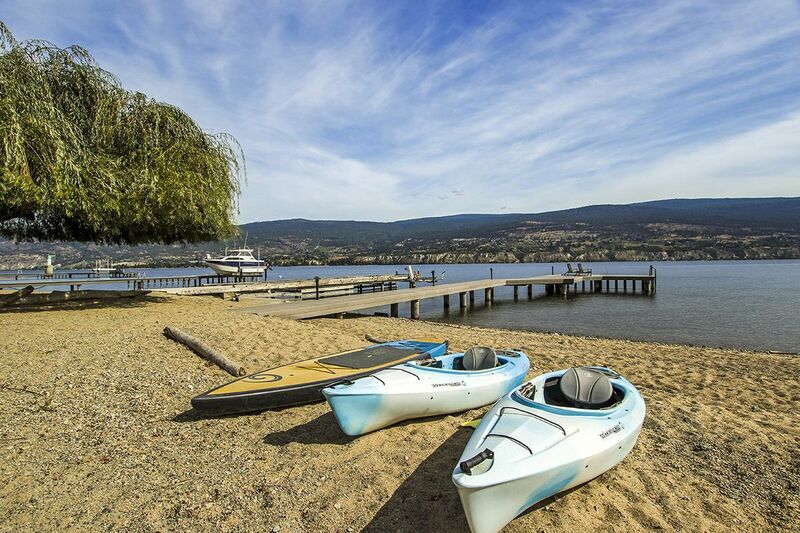 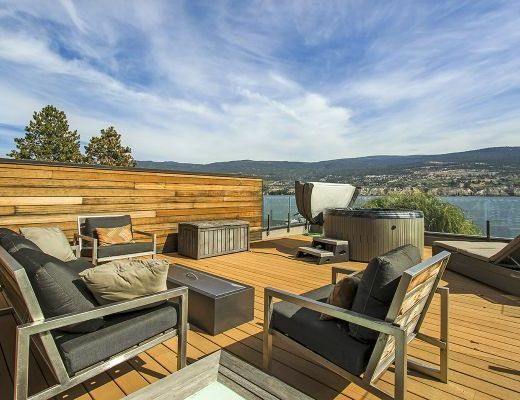 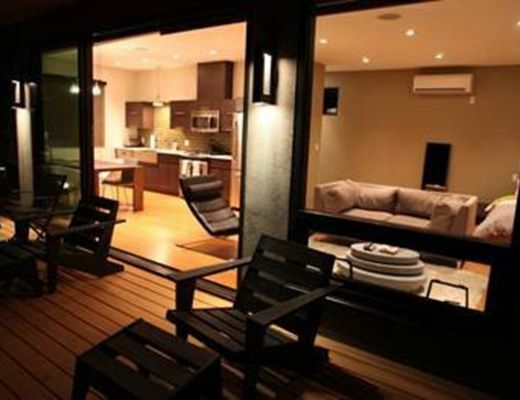 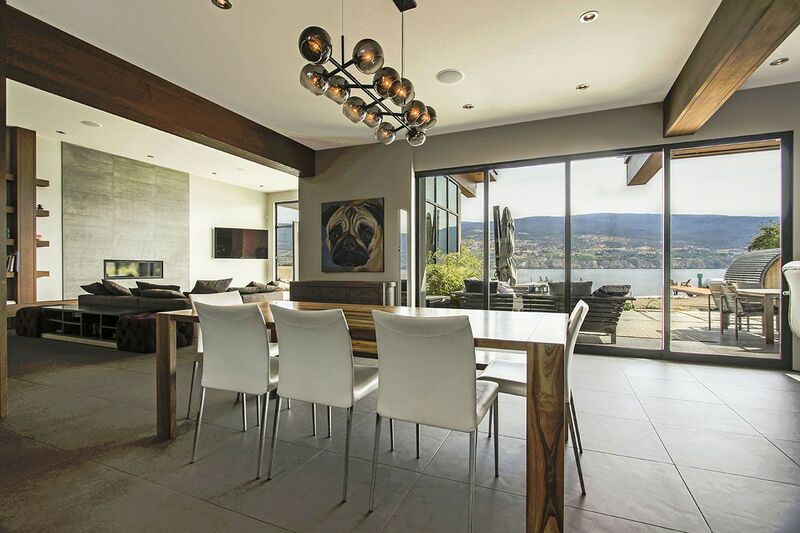 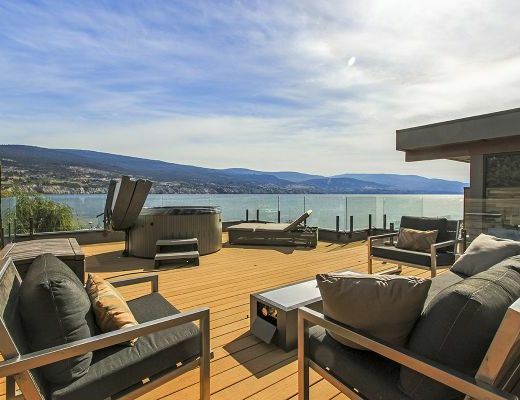 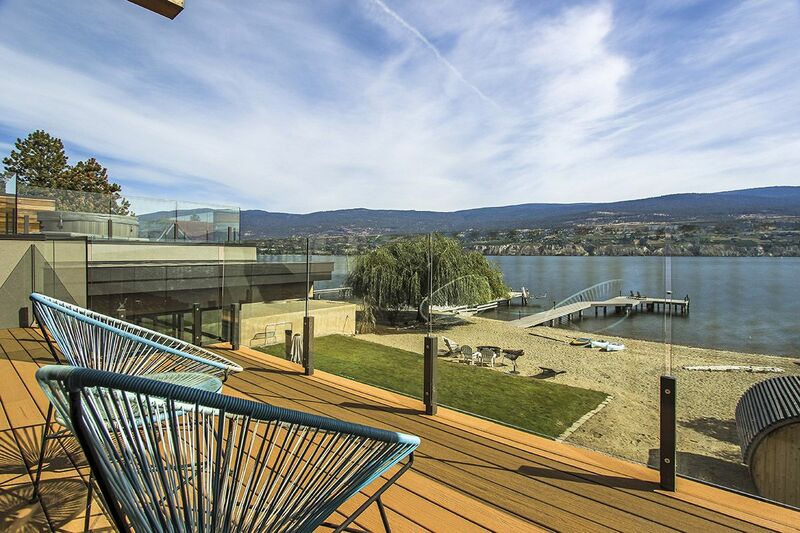 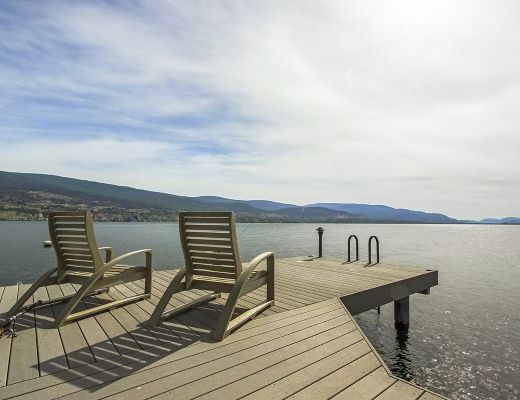 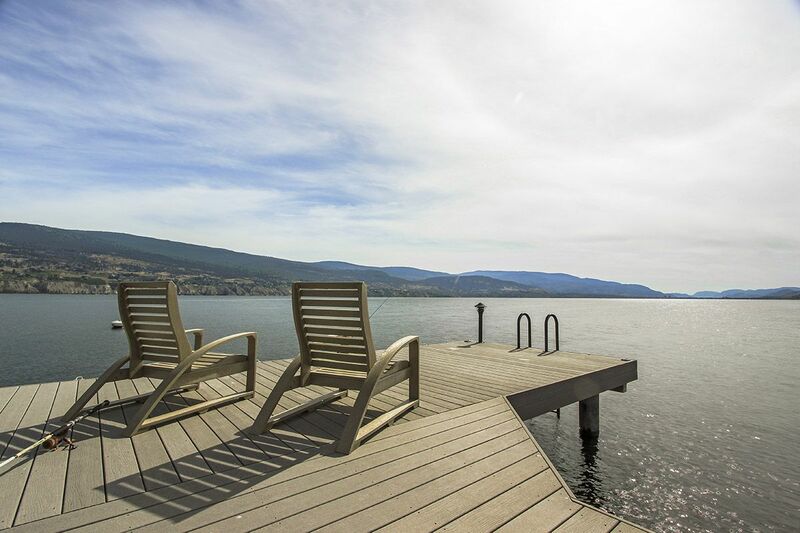 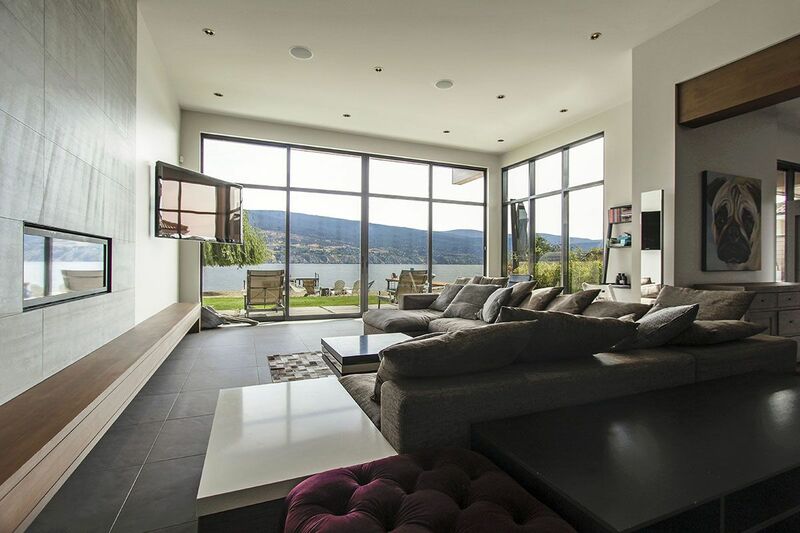 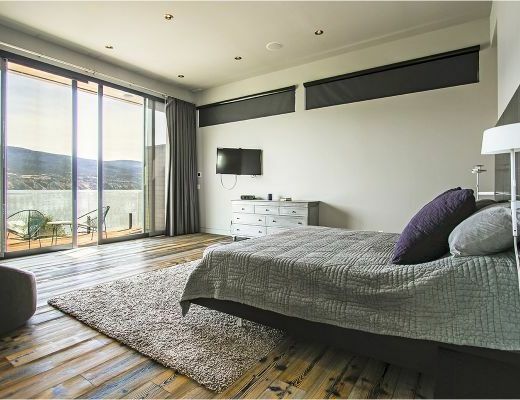 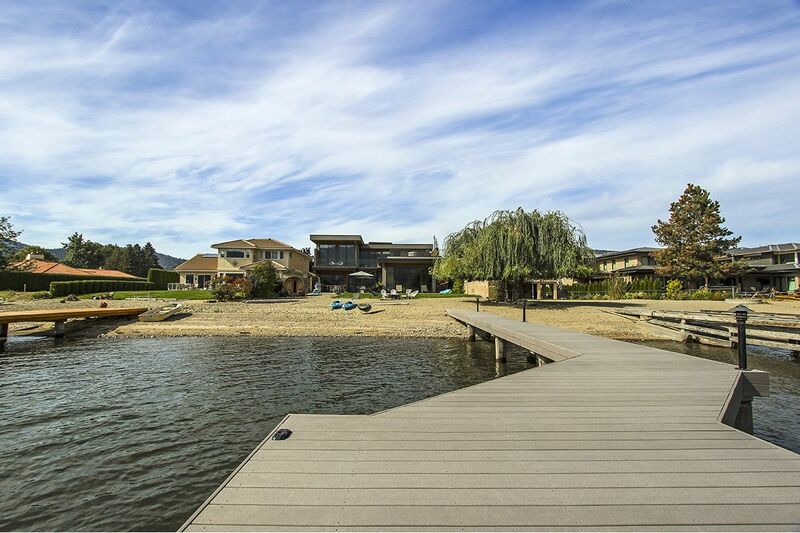 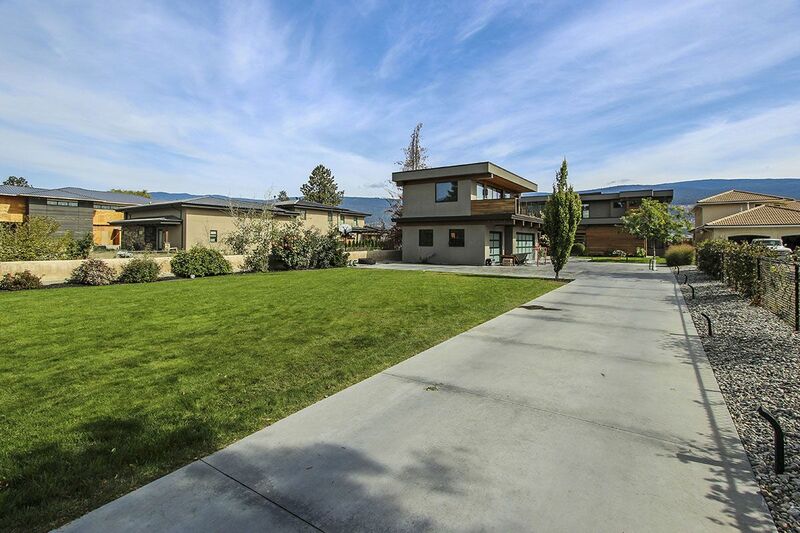 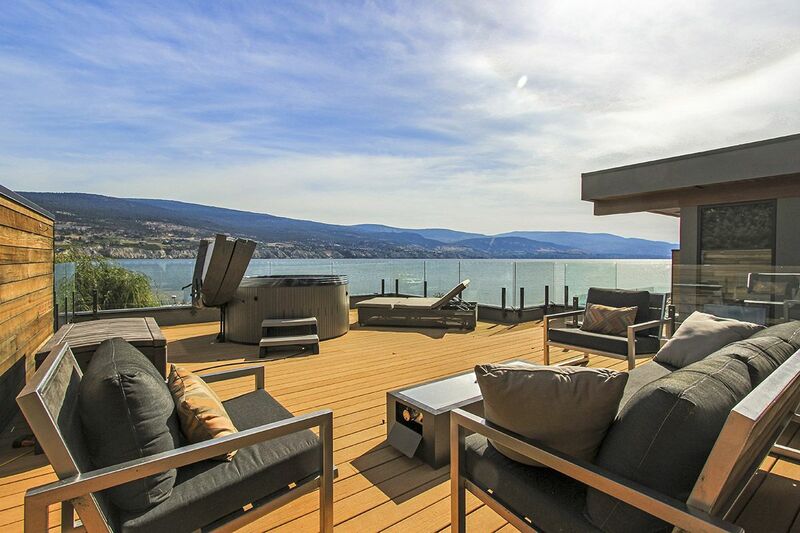 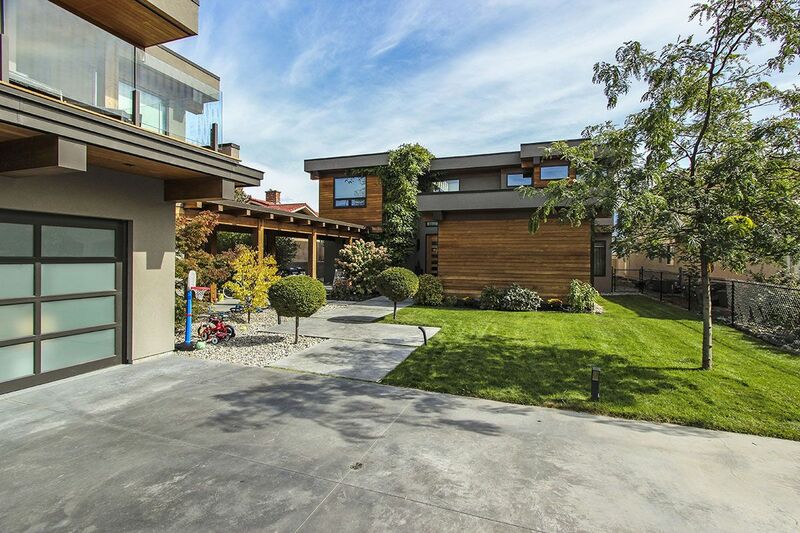 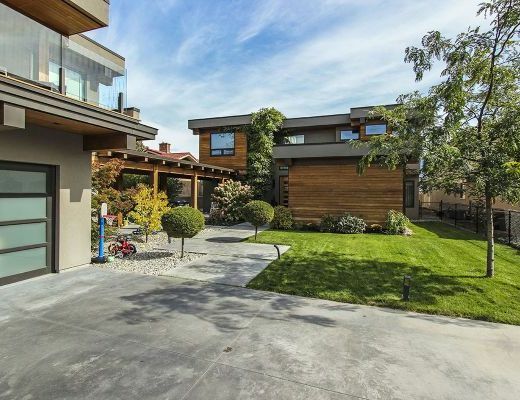 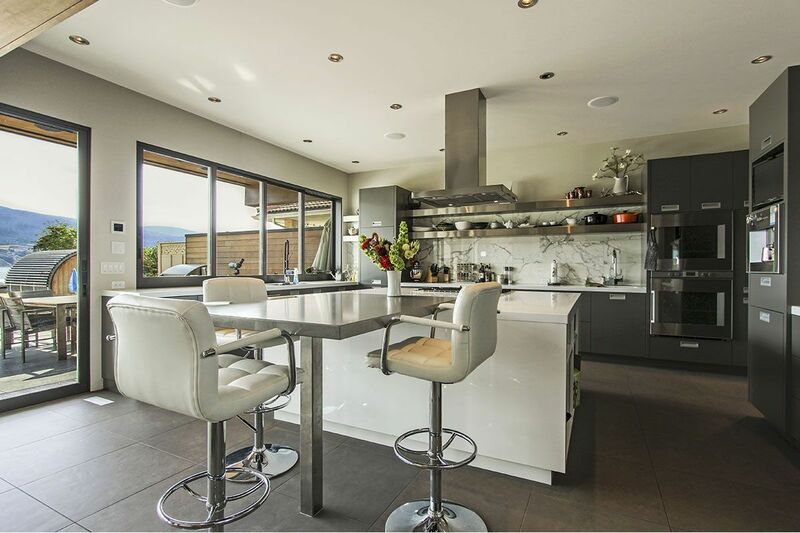 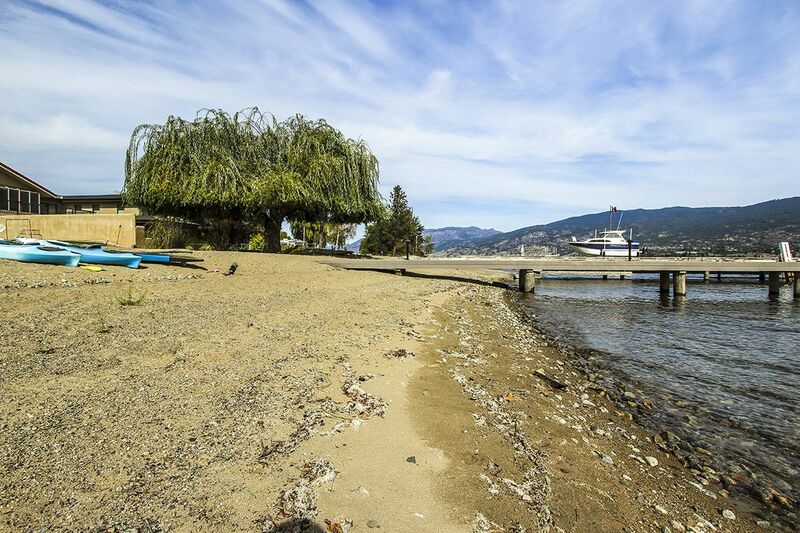 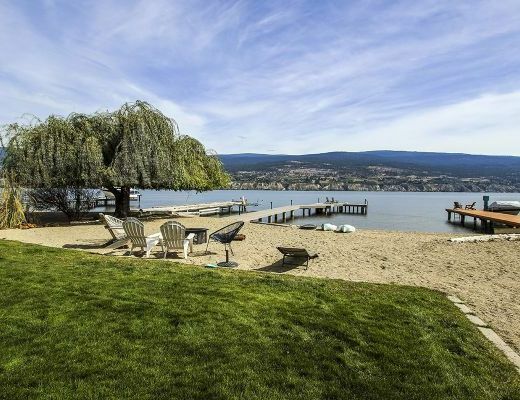 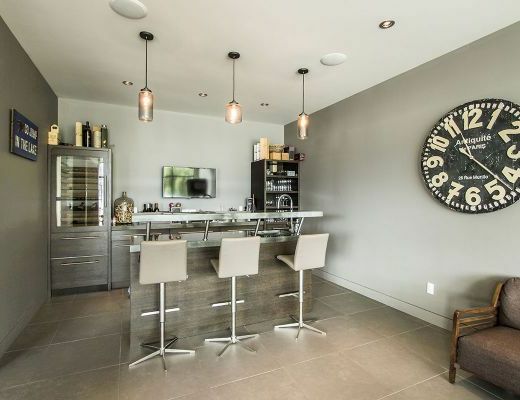 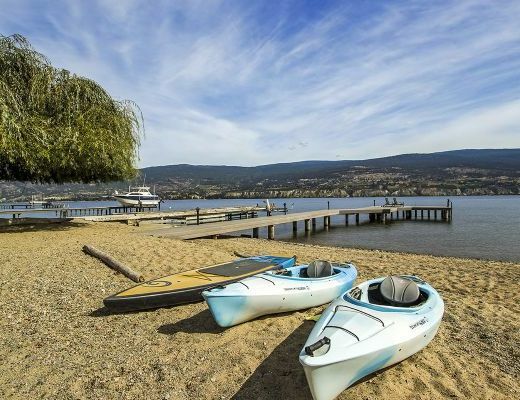 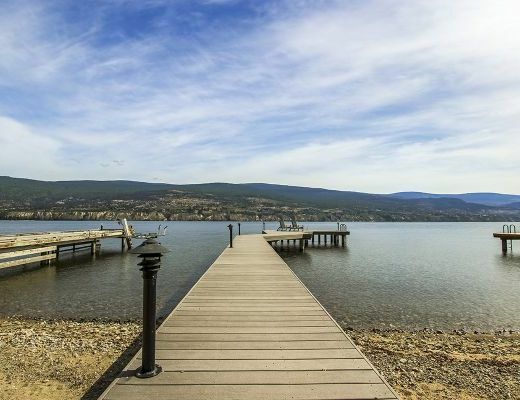 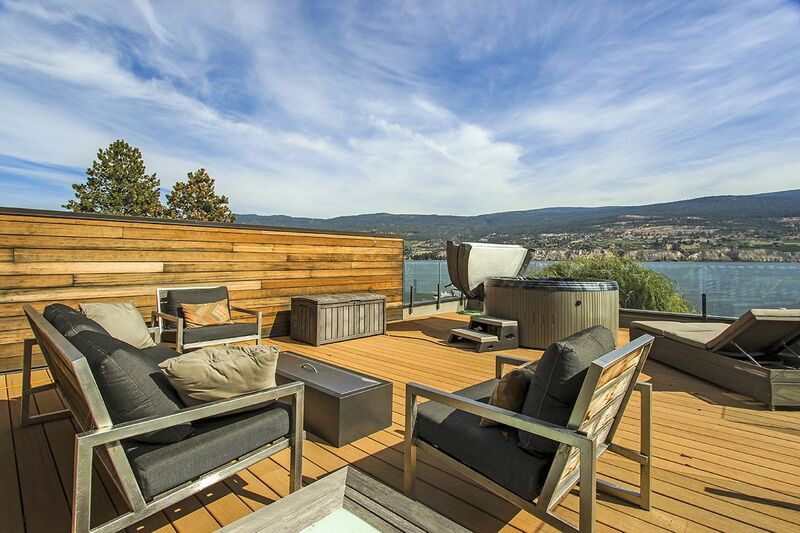 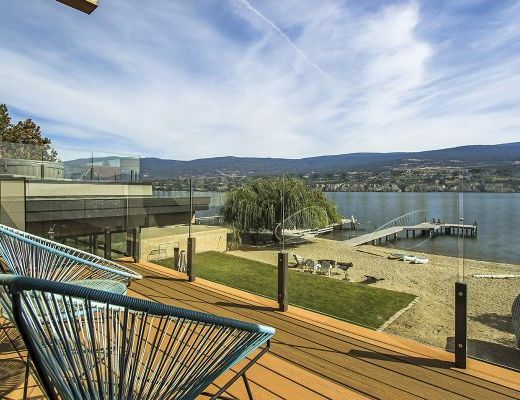 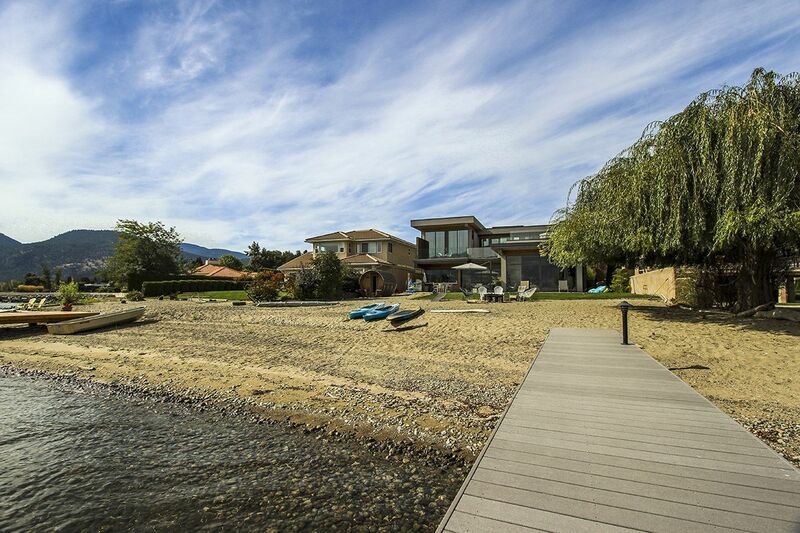 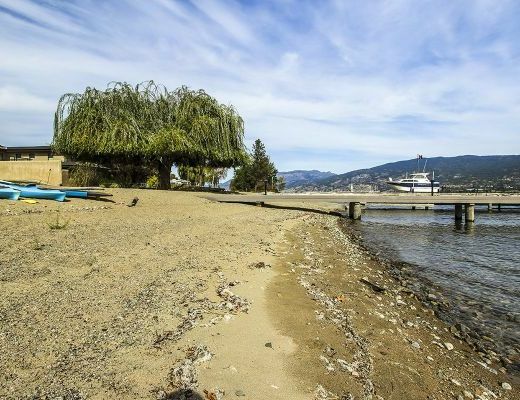 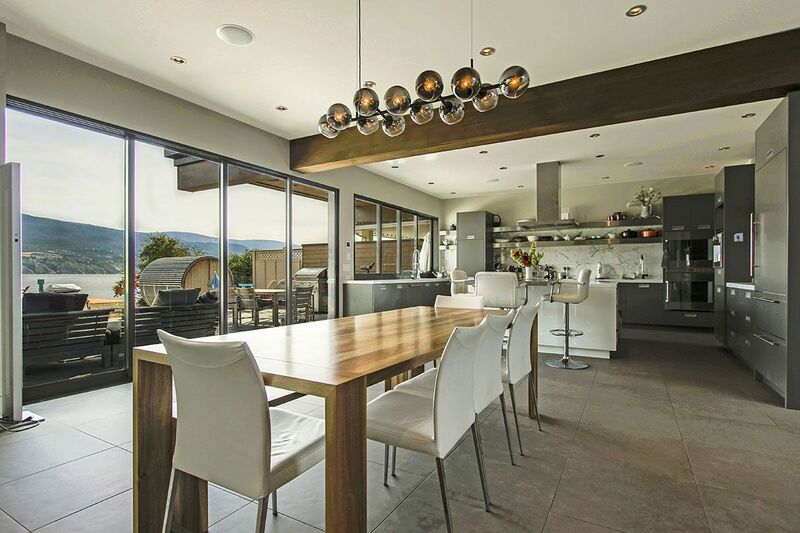 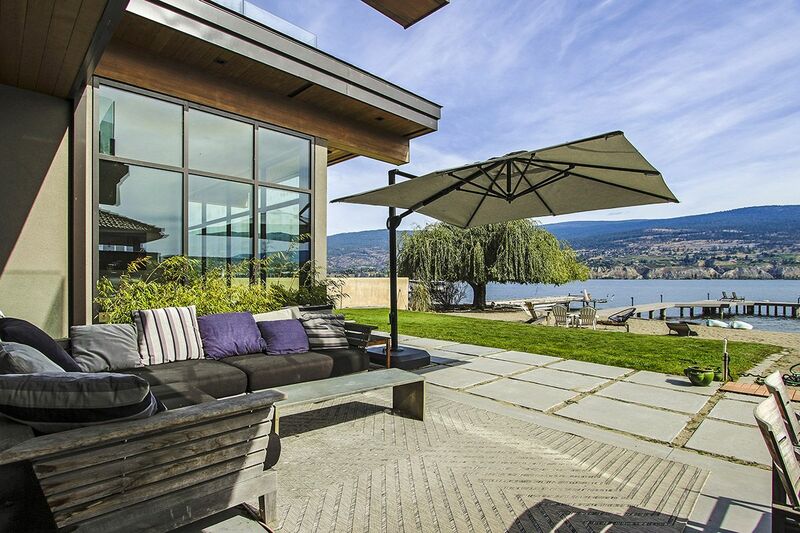 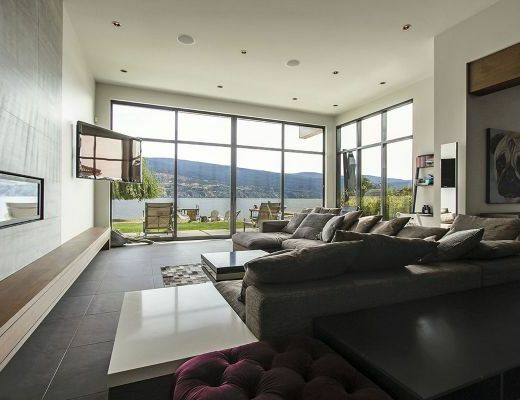 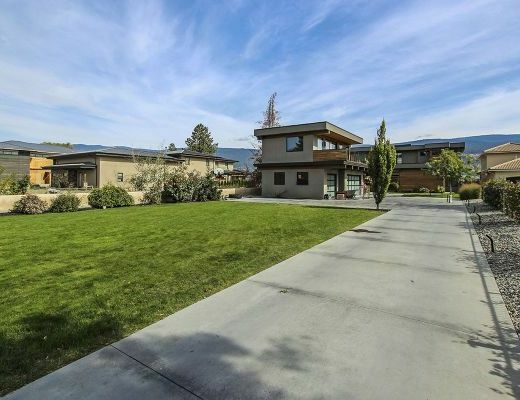 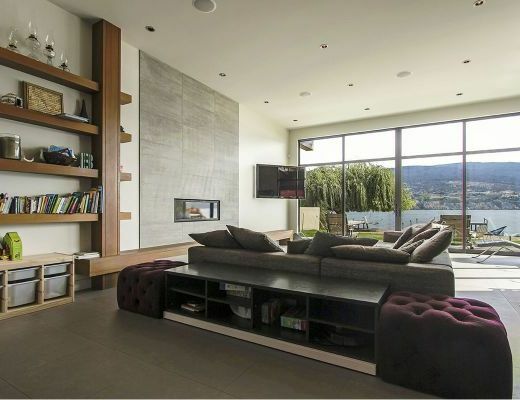 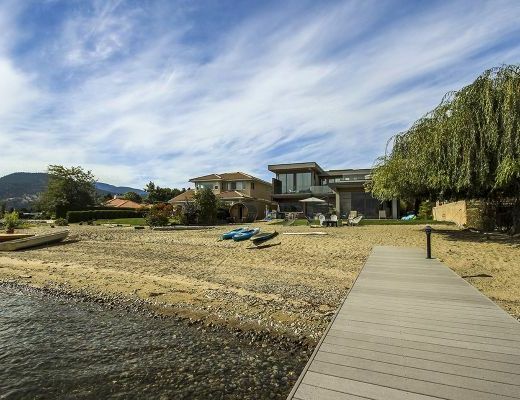 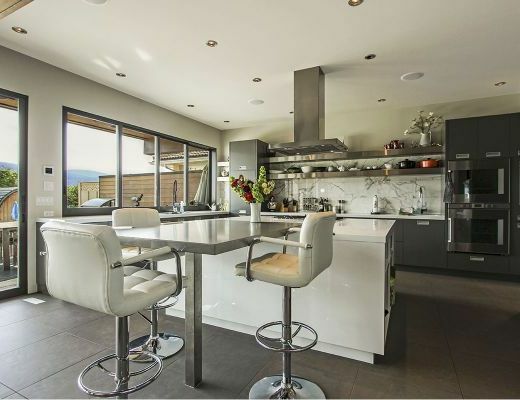 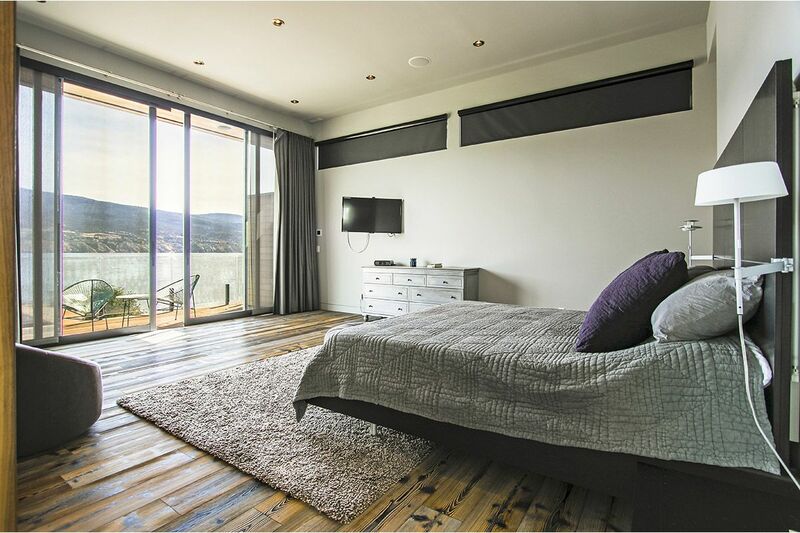 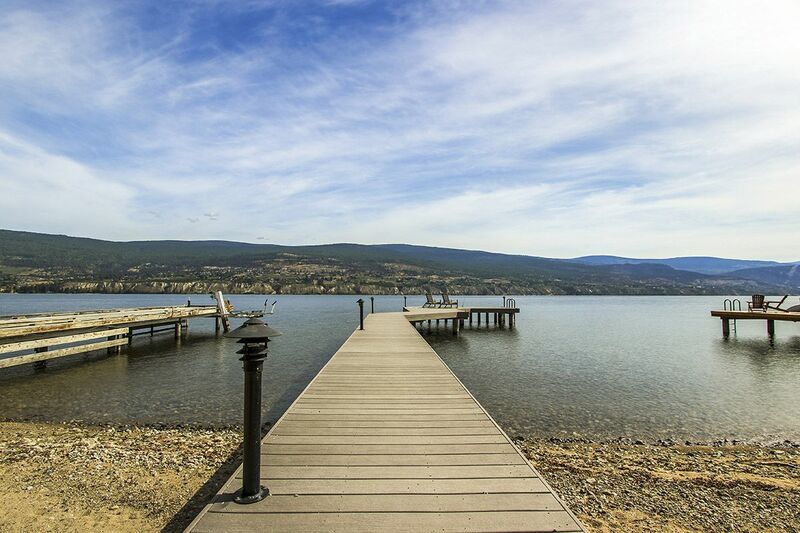 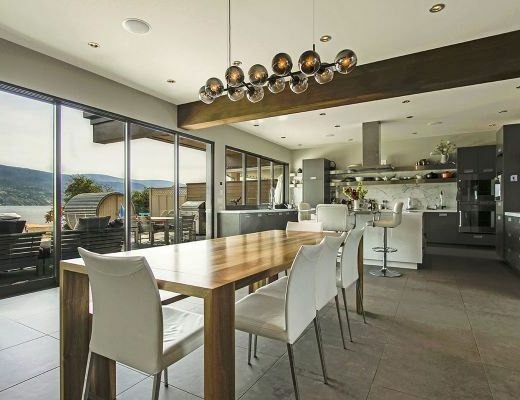 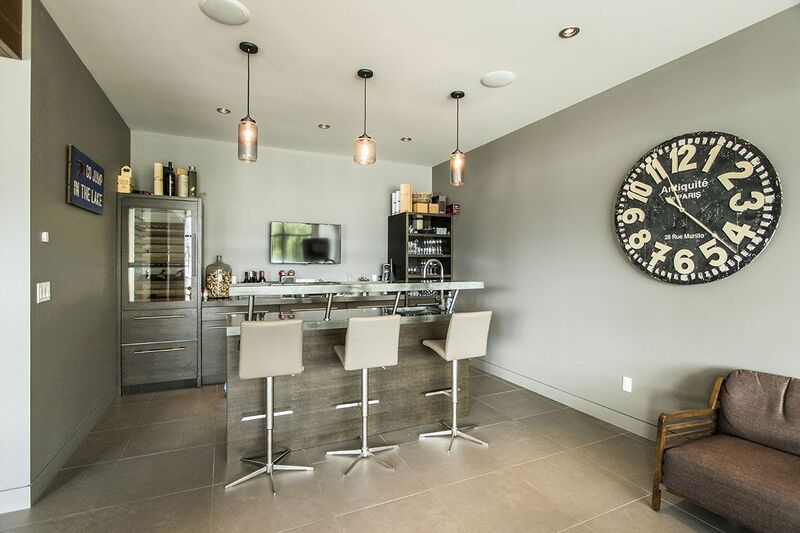 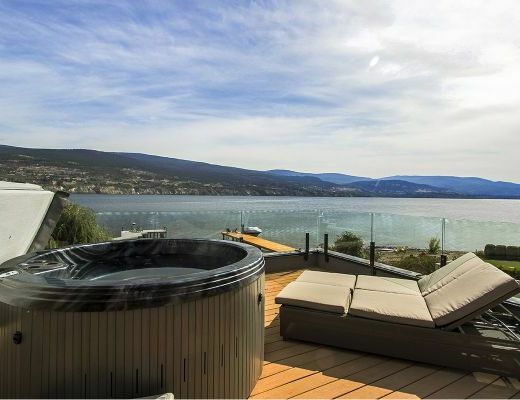 Located on the shores of Okanagan Lake, this 4 bedroom luxury home offers beachfront living at its best. 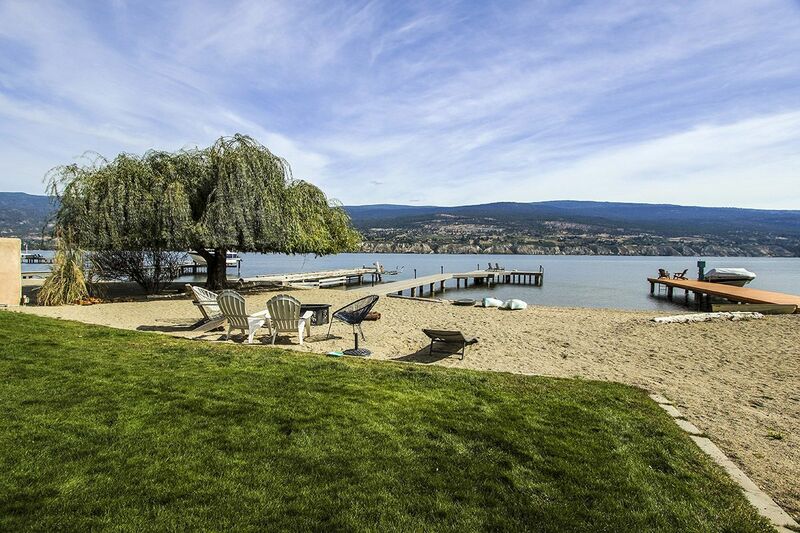 Enjoy a private sandy beach with level entry to the water, perfect for families with small children. 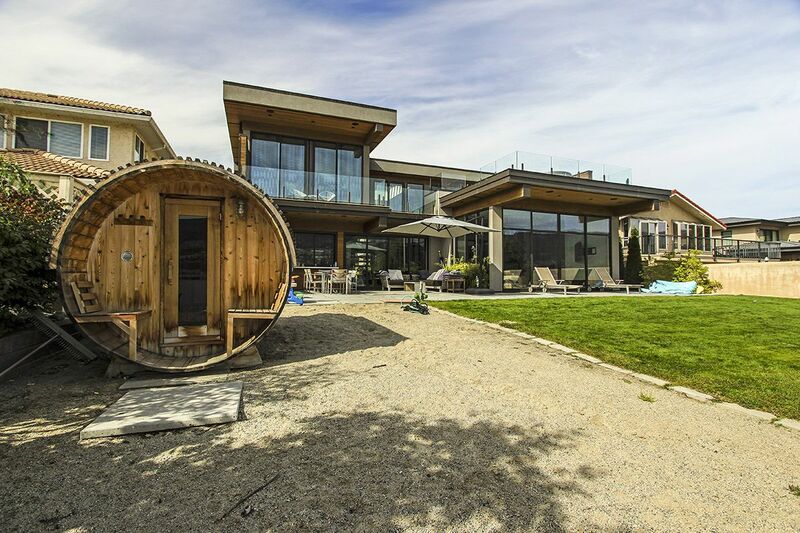 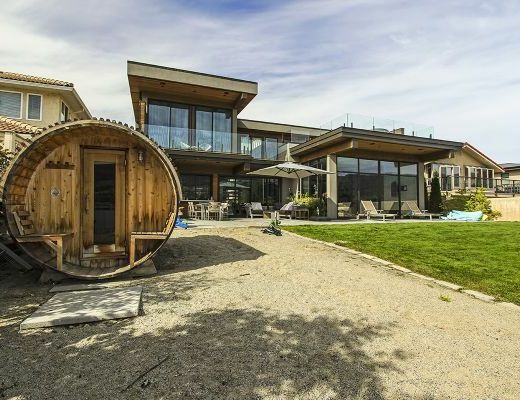 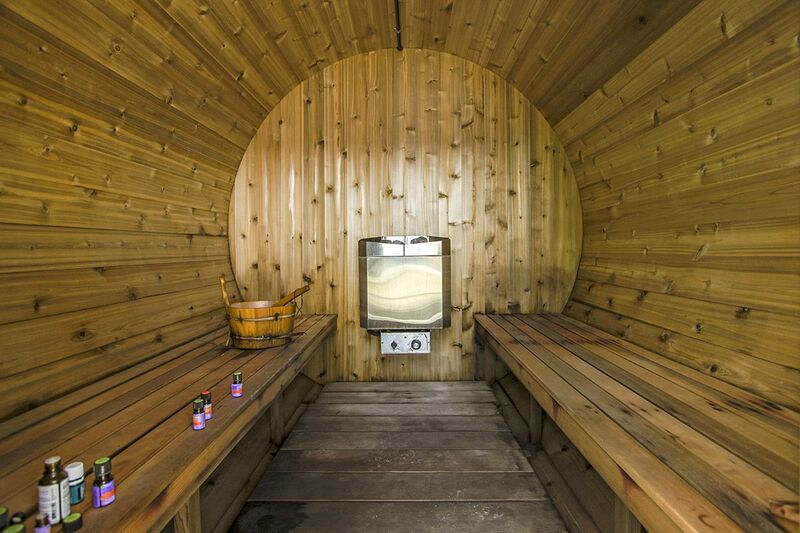 A unique beachfront barrel sauna accents accents the home. 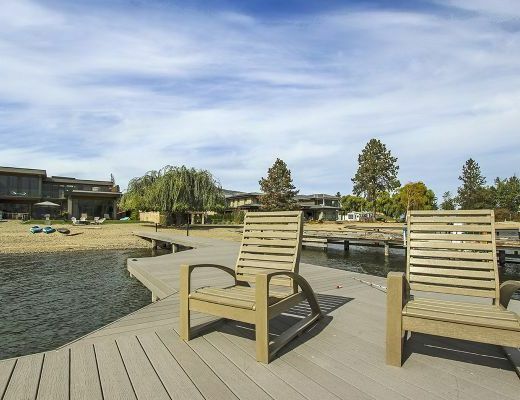 Bring your boat, or rent one while you are here as this home includes use of the private dock and tie-up buoy. 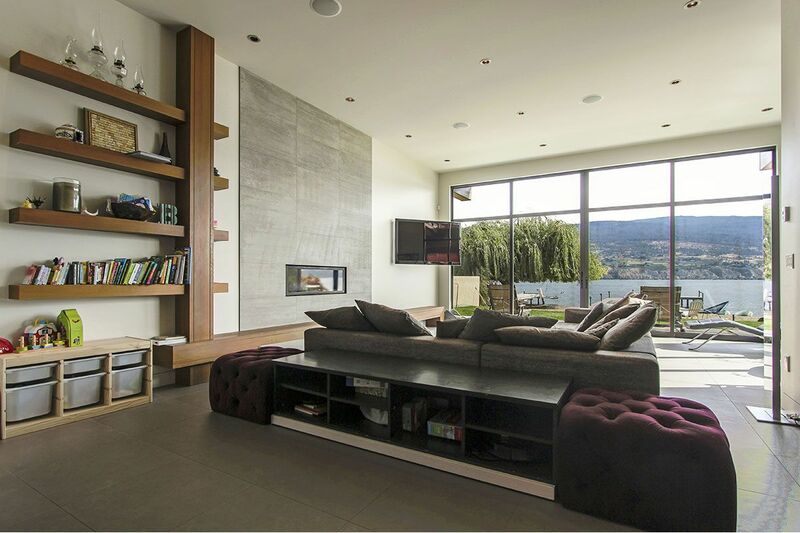 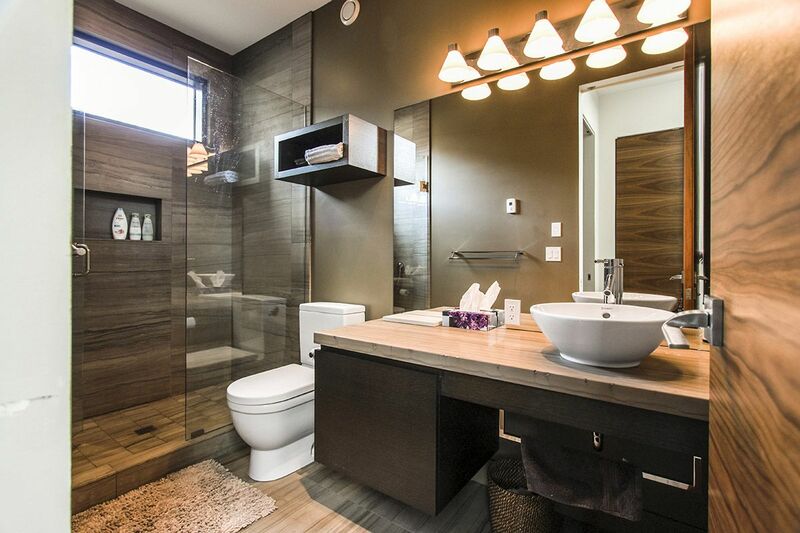 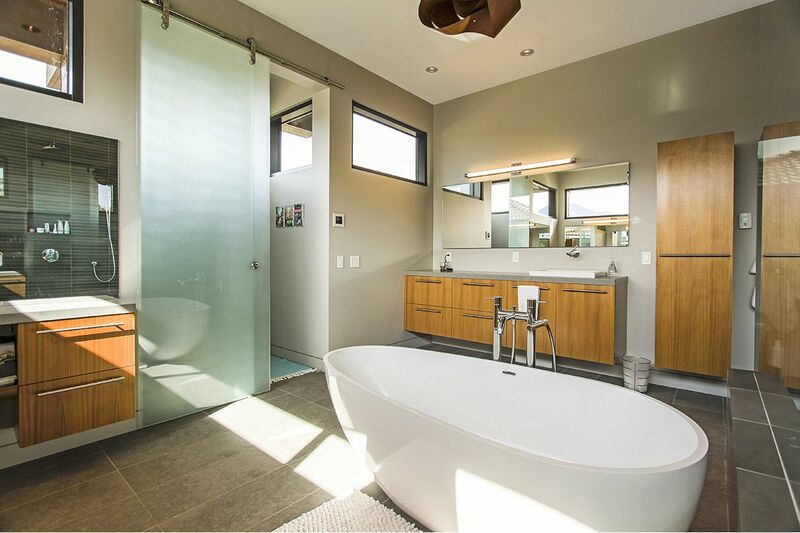 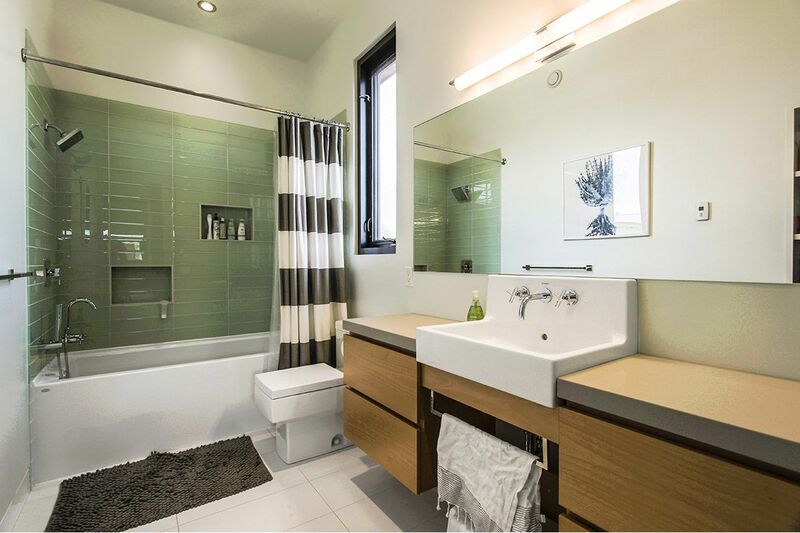 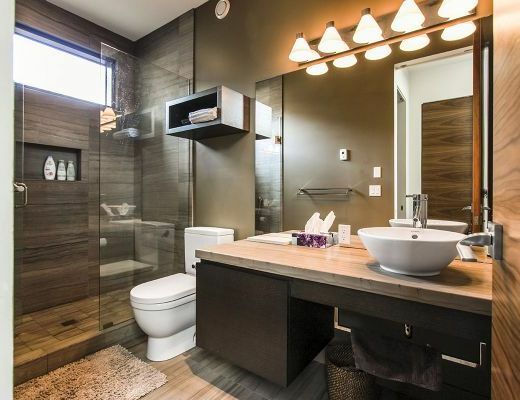 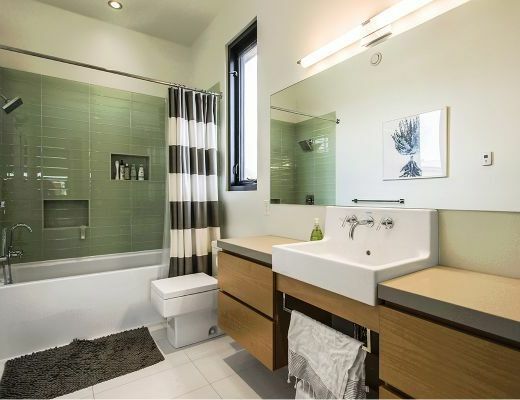 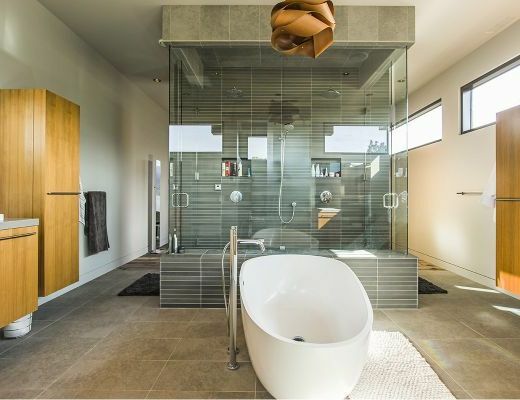 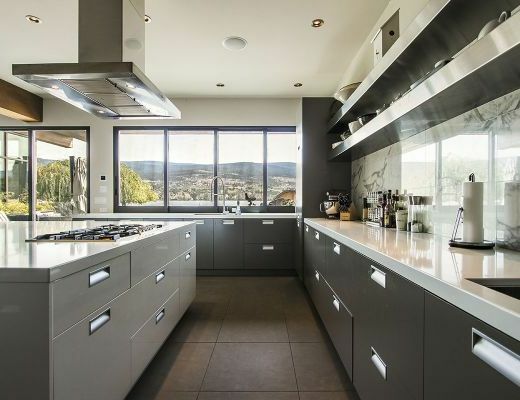 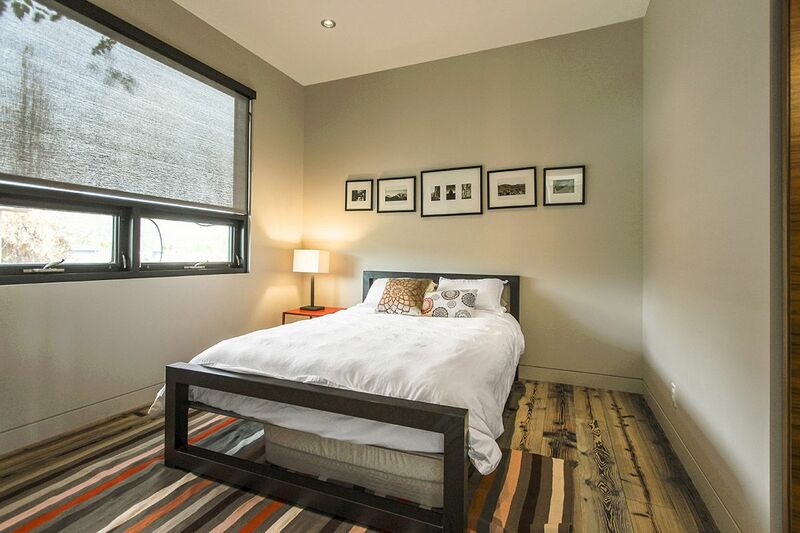 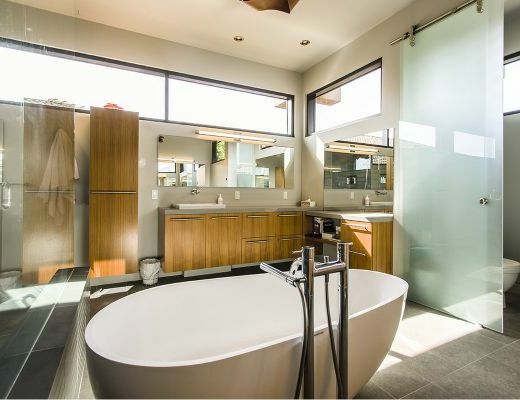 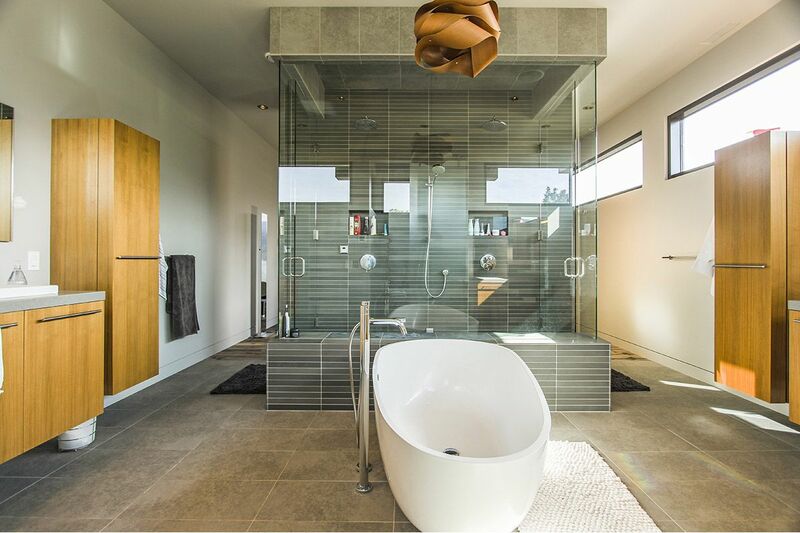 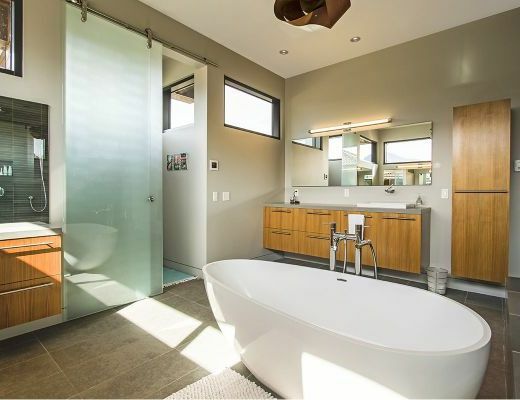 Modern and functional, this beautiful home is sure to impress. 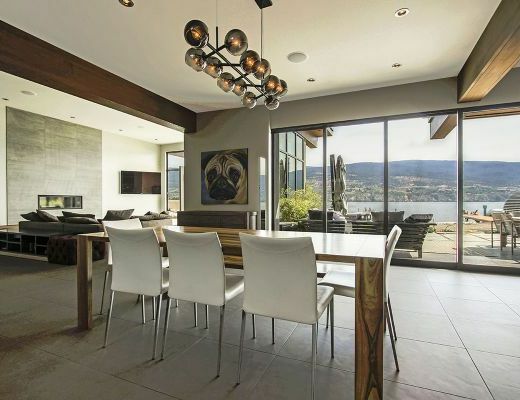 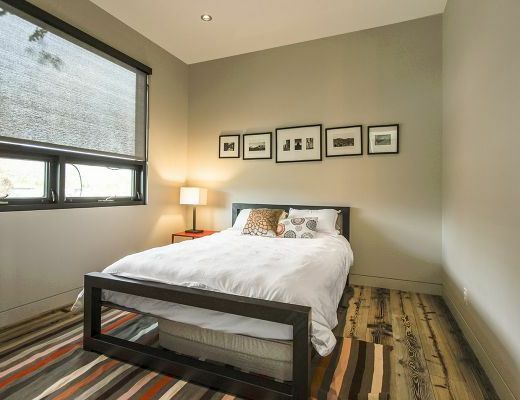 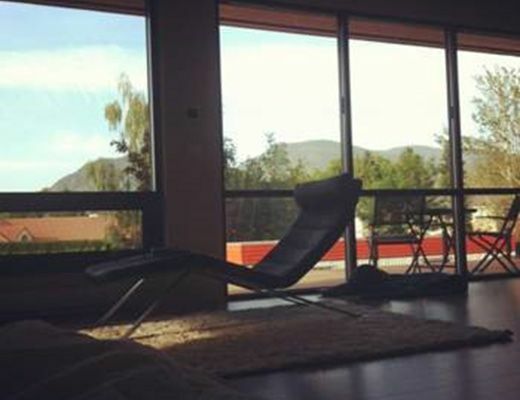 The main level features high ceilings, contemporary furnishings and walls of bright open windows providing a stunning lake view from nearly every room in house. 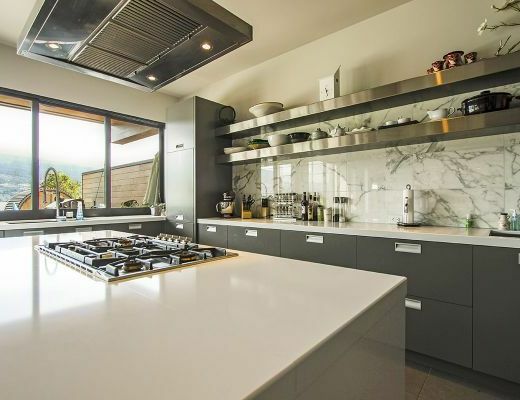 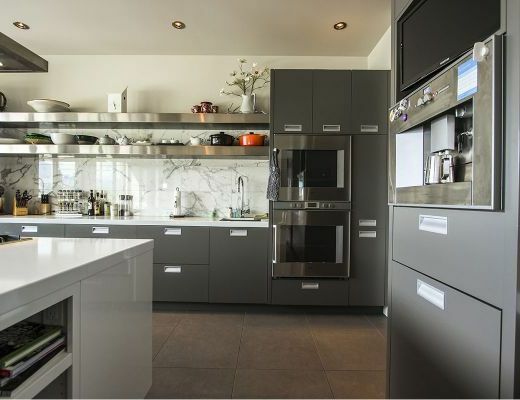 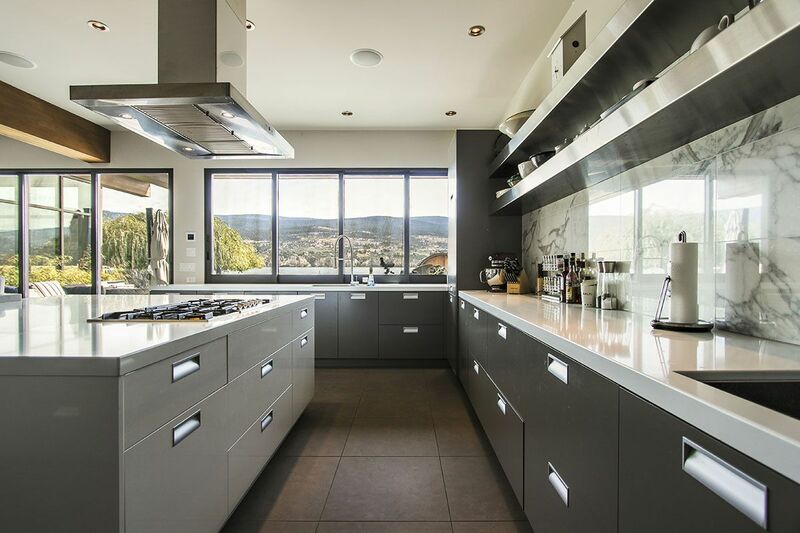 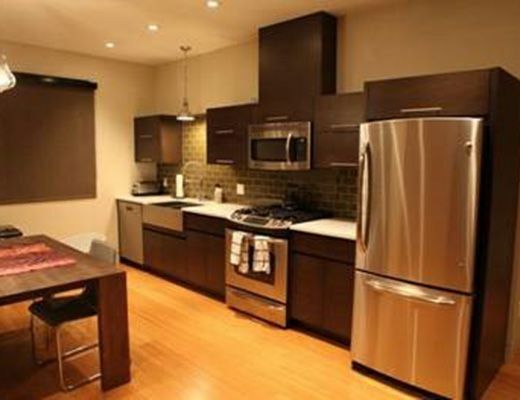 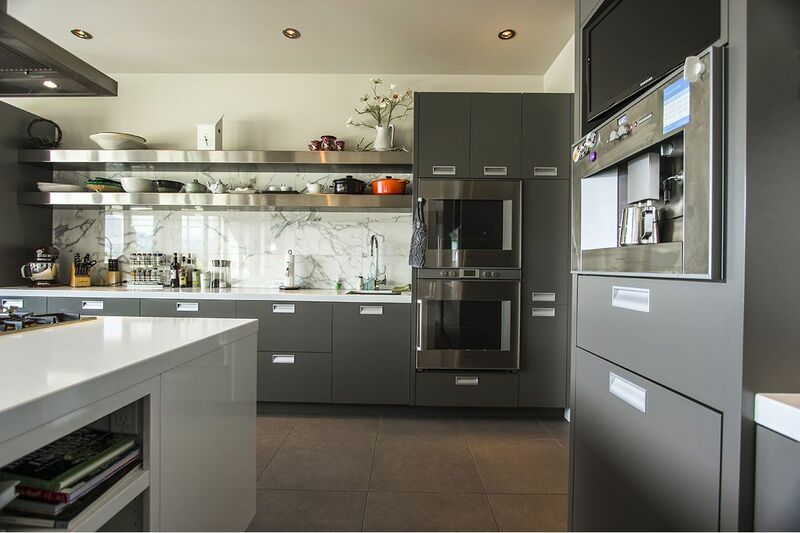 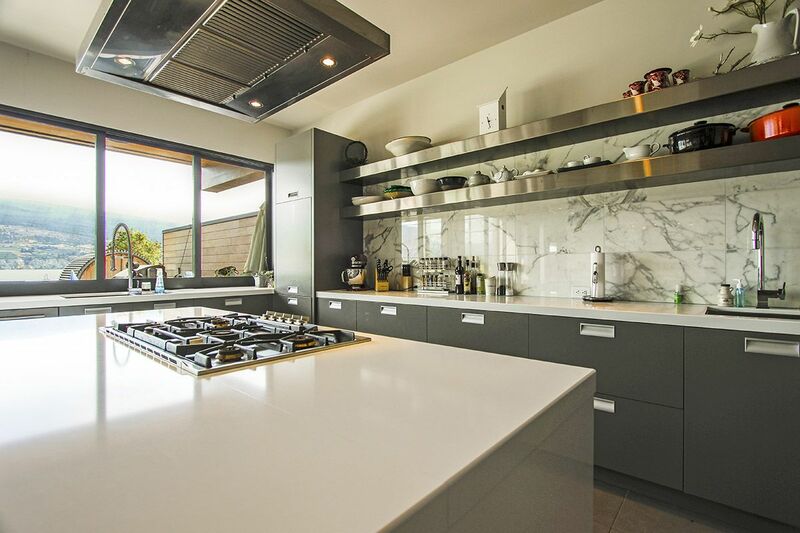 The gourmet kitchen offers a place for the culinary artist in your group to enjoy with a gas cooktop, dual ovens, built in espresso machine and much more. 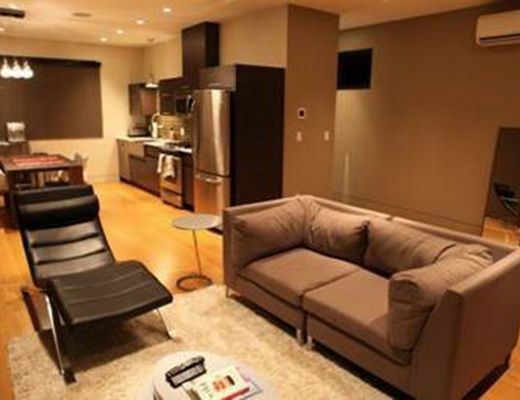 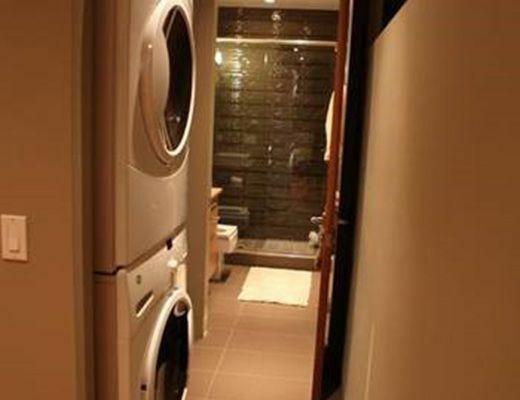 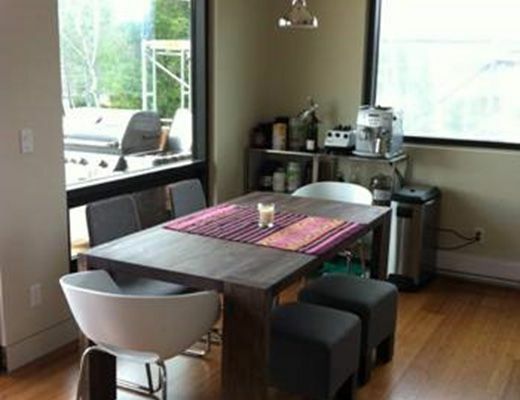 The main level also houses one bedroom, preferable for anyone members of your group who prefer to avoid the stairs. 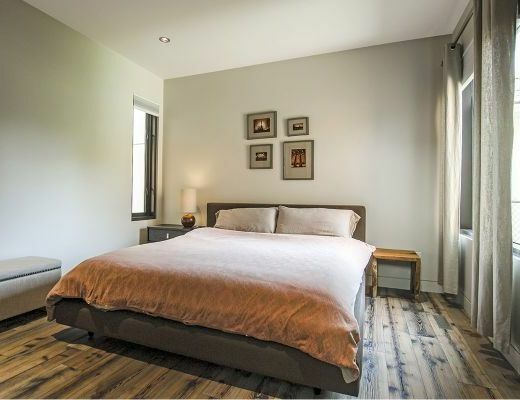 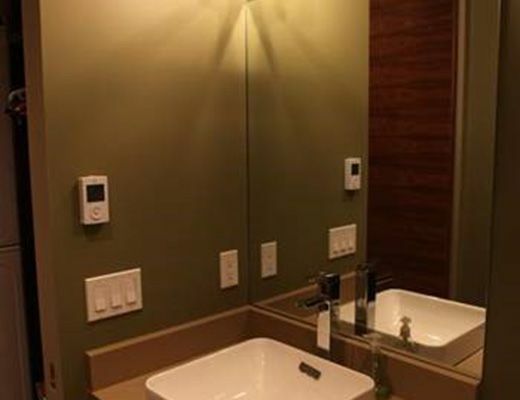 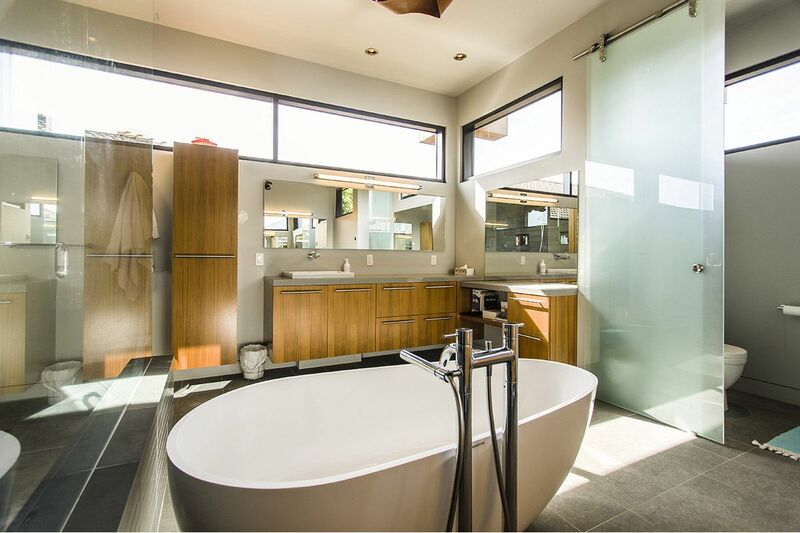 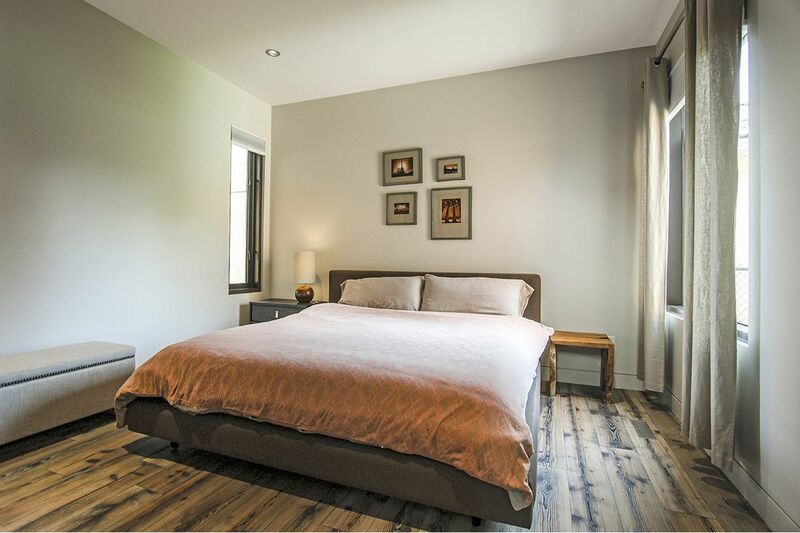 The upper level houses a spacious master bedroom furnished with a King size bed, paired with custom built ensuite that includes a deep soaker tub and dual rain forest shower. 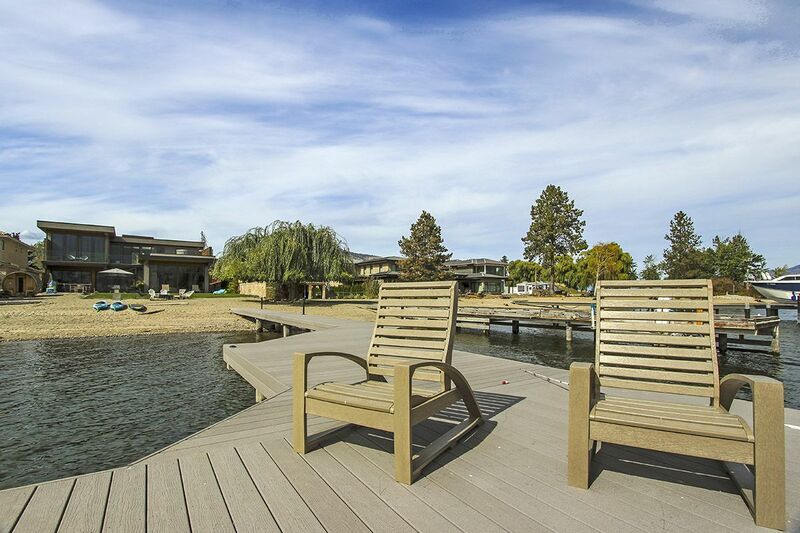 Step on to the master patio and enjoy a view of the early morning sunrise over lake. 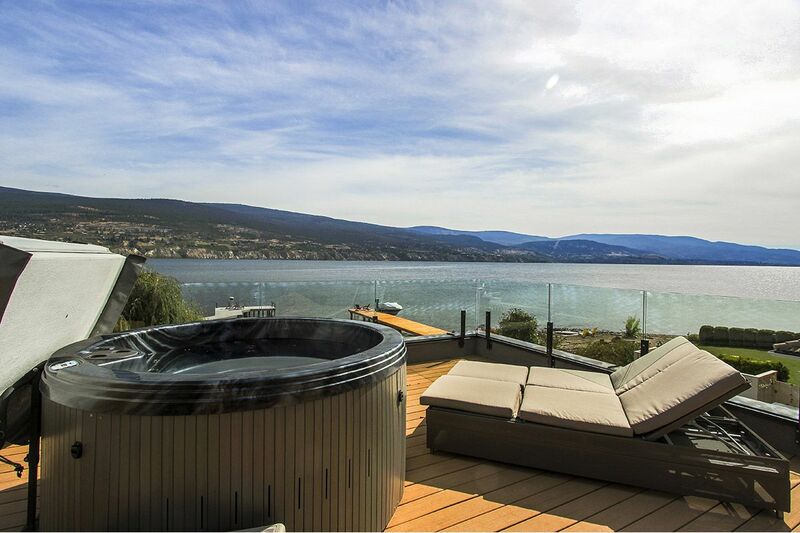 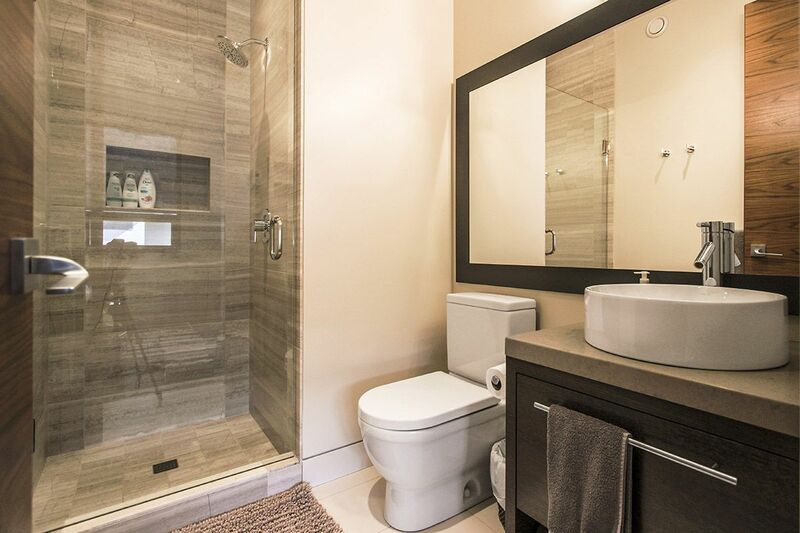 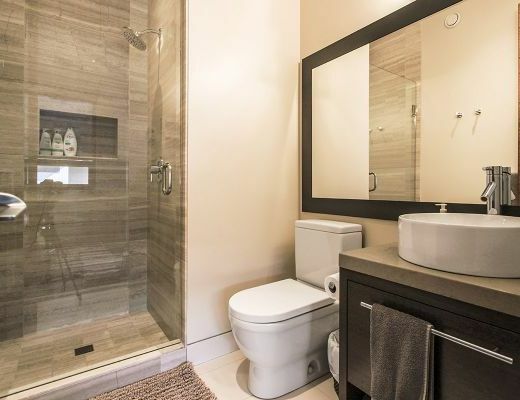 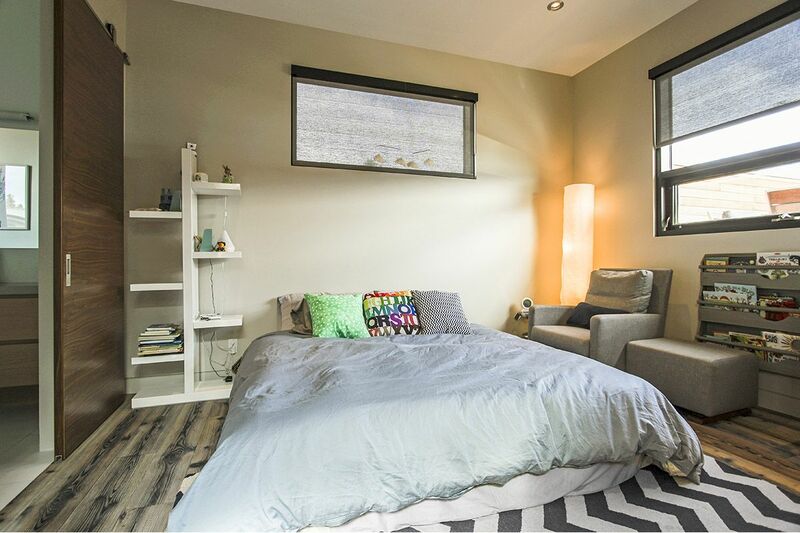 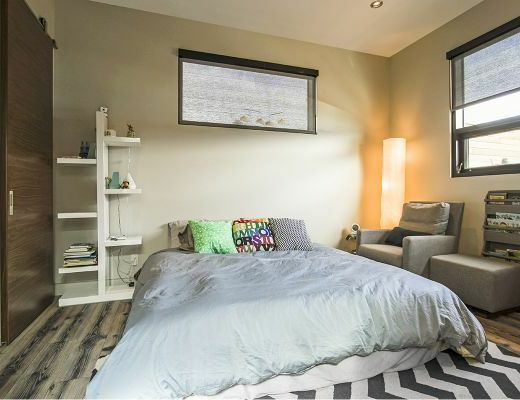 The upper level continues with two additional bedrooms and access to the rooftop patio which features a private hot tub, seating around a gas fireplace and sun loungers to soak up the hot Okanagan summer sun.